BALTIMORE (Sept. 23, 2014) – In support of Baltimore Gas and Electric Company (BGE)’s long-standing commitment to enhancing safety and emergency response throughout its central Maryland service area, the company is launching its third annual Emergency Response and Safety Grant Program. The grant program focuses on supporting organizations that are committed to emergency preparedness, disaster relief, emergency response and recovery, and safety. Now through Oct. 31, 2014, eligible 501c3 organizations that provide critical emergency services support throughout BGE’s service area are encouraged to apply for a single grant of up to $10,000. Through the BGE Emergency Response and Safety Grant Program, both new and existing programs that fall within the defined grant description guidelines, and that clearly demonstrate improvement in response efforts to the urgent and immediate needs of the community, will be considered for this year’s grants. Some examples of qualifying organizations include, but are not limited to, first responders, such as police, emergency medical services and firefighters, including volunteer fire departments, and emergency relief and recovery organizations. BGE will notify grant recipients in December 2014. Since its founding nearly 200 years ago, BGE has played an integral role in working with Maryland communities to address economic development, public safety, civic issues and other initiatives that help enhance our neighborhoods. Through the use of shareholder dollars, BGE supports programs that deliver measurable and sustainable impact in areas of education, environment, community development and arts and culture. 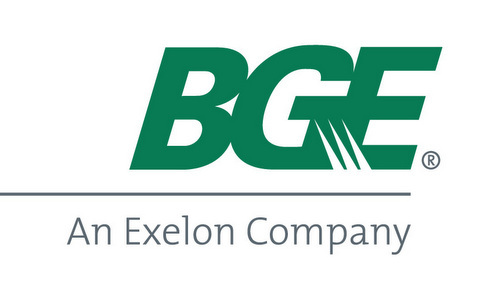 BGE’s corporate citizenship aligns with that of its parent company, Exelon Corporation. As part of Exelon’s merger in March 2012, Exelon and its subsidiaries have committed to maintain charitable giving of an average of $7 million per year in Maryland, including BGE’s service area, for the next 10 years with a focus on the areas of education, arts and culture, the environment and community development.. BGE’s commitment to the Emergency Response and Safety Grants program fulfills part of that commitment.